Should I Buy a DC47 or DC54? 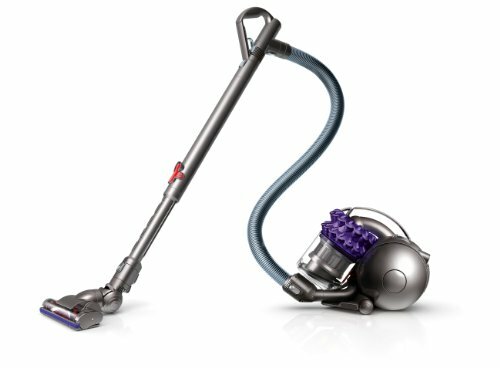 If you are interested in getting a new Dyson Canister vacuum and have narrowed your choices down to either -- the DC47 or the DC54 -- however are unsure as to which to get & what exactly their differences are, then you are in the right place. Below is a brief & objective comparison guide that contrasts both their differences & commonalities amongst specifications & features, ultimately determining which vacuum model is best suited to your cleaning needs and preferences. Which Offers the Best Cleaning Suction Power? For a relatively compact canister vacuum cleaner - the DC47 offers at 180 AW of constant suction -- the same performance as that of a fully sized canister model due to it being crammed with Dyson's latest technology & engineering achievements right from top (e.g. the two-tier radial root cyclone technology) to bottom (its self-adjusting advanced cleaner head - that is utilised for all floor types). The full sized DC54 canister (which is aimed to replace that of the Dyson DC39 -- which in comparison to the DC47 is actually more powerful) is however the only vacuum (as of yet) to be fitted with pretty much Dyson's premium state-of-the-art cyclone technology -- Cinetic -- which generates (by far) the highest centrifugal forces (which in turn translates to suction power) out of any vacuum cyclone system on the market & with 280 AW plus of constant suction allows it to be 'the' go to powerhouse vacuum (also in turn making it Dyson's best vacuum for suction & cleaning performance). Moreover, the DC54 has had further improvements made to its carbon fibre filament cleaner head (from that of the DC39's TriggerHead) -- where it is now lighter & has a much improved pick-up rate mainly due to the integrated self-tightening mechanism to allow a more consistent & stable contact with the floor as well as a new capture channel that manages to get hold of debris & dirt that previously escaped back on to the floor with the DC39. So although, the DC47 offers an impressive cleaning performance (given its limited size), it really doesn't compare with the huge cleaning capability that the DC54 can offer. Both models are obviously a canister based machine being fitted with a centralised Dyson ball mechanism, to essentially allow them to turn on a singular dime instantly. However, as the DC47 is more compact (DC47 dimensions: 29.2 x 22.2 x 44.8 cm & DC54 dimensions: 36.8 x 26.1 x 50.7 cm) than the DC54 as well as being lighter (DC47: 6.08 kg & DC54: 7.6 kg) -- this gives it a slight edge in this aspect of being agile and mobile. But, both models in general are incredibly easy-to-use and manoeuvre (particularly when compared to other standard canister vacuums that work on a rigid wheel system, where to get round a tight corner you have to pretty much do a 3 point turn, dragging it back & forth). The DC47 is more compact and is intended for use on an apartment or small house whereas the DC54 offers more extensive specifications and hence should be used for those with a mid to large sized house. This is reflected in the cleaning practicalities e.g. the DC54 has a greater max cleaning reach of 16.5 m (telescope: 10 m + cord length: 6.5 m) whereas the DC47 has just 13.3 m (telescope: 8.3 m + cord length: 5 m) and there also being huge difference in bin capacities (DC54: 2 litres & DC47 just 0.58 litres). They are fitted with the same accessories -- the combination tool (for use of awkward gaps & powered dusting) and stair tool (which can be used on upholstery too). Moreover, they come as 'Animal' versions where they are also provided with an extra specialised attachment -- tangle free turbine tool -- which effectively & efficiently pick-ups pet hair. Both models are backed by a 5 year coverage plan which is for both parts & labour costs. The DC47 has a fitted filtration system that prevents allergens & dust from being expelled into the air. The DC54 works in a similar manner, producing only healthy clean air, however the Cinetic technology (as explained in the video above) means the vacuum doesn't actually have to require filters to be fitted. Both vacuums are strongly recommended for those with allergies or are asthmatic. Conclusion: Which Canister Vacuum Should I Buy -- the DC47 or DC54? Which model you choose should be primarily based on the cleaning intentions you have for the vacuum i.e will it be for a small room/flat (where the DC47 would be advantageous as it is compact - which is in turn good for the limited storage on offer & doesn't actually need extensive practical specifications like a long cord length) or a large family home (where the DC54 will be better suited given it is extremely powerful & has more extensive practical features that will come in to better use). Other considerations are that of price (with the DC54 obviously being a fair bit more expensive & whether to you the benefits it offers over the DC47 model are worth it), the version you get (whether you get an Animal or a Multi-floor -- as said the former being intended for a household that suffers with pet hair) and whether you get any additional attachments (and if you want that included in the package price)? 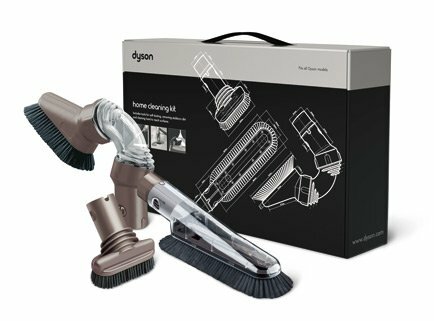 The Home Cleaning Kit from Dyson includes the following attachments: soft dusting brush (cleaning delicate surfaces), multi-angle brush (for high hard to reach to surfaces e.g. shelves) & stubborn dirt brush (to remove dug-in dirt from carpets etc.). But which model will you choose & why? Also, if you have any questions, comments or concerns regarding either the comparison guide or about either model specifically -- then please do not hesitate to make them in the comments section just below and we will be sure to respond to you as soon as possible.